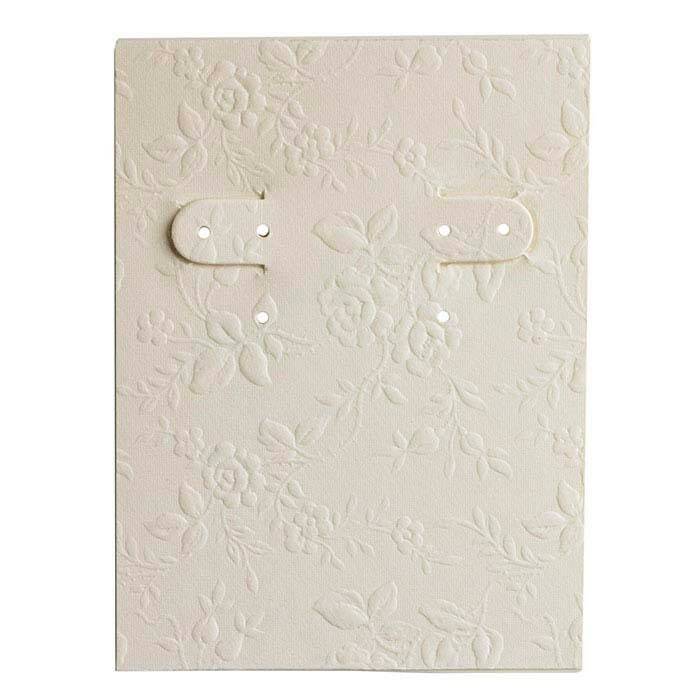 This plastic jewelry card is molded with a hook top for hanging displays and covered with embossed floral paper. The card is designed to hold clip, wire or post earrings. Comes as a pack of 10 cards. Even Lovelier than the photos! These are so versatile, very well-made, and I love that you can hook them from the back onto a display! Shipped quickly, beautiful cards. Thanks!